We use many methodologies to guide you toward your desired outcomes. 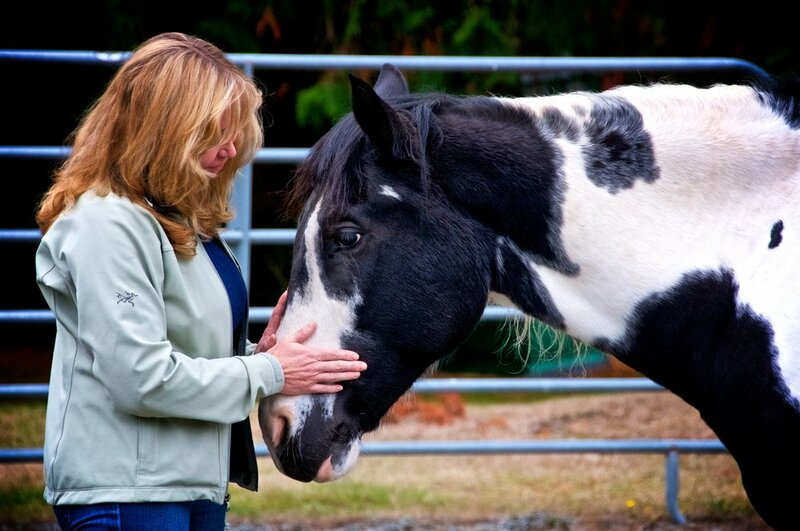 One of our signature high-impact approaches is Coaching With Horses. There are some people we just TRUST. They have a way of being that embodies respect, curiosity and dignity. They know what they believe yet remain open to the ideas and concerns of others. They draw on an inner strength that means they don’t have to pretend to be something or someone they are not. They make connecting, partnering and collaborating both natural and easy. We just want to follow them and to help them succeed. The path toward engendering trust and connecting to others lies in our heart. As humans, we naturally protect our hearts – our deepest cares, concerns and desires. Yet we also yearn to connect, to be understood, and to experience mutual trust and respect. Horses have a unique ability to guide us toward an open heart and learn deep connection, trust and authenticity. As herd animals, horses are deeply tuned in to each other, their surroundings and the energy of other animal species around them. Horses inspire and move us to feel our hearts, our power and our longings. Facilitated by a human coach and an equine guide, Coaching With Horses invites you to explore, practice and play with this way of listening and sensing the subtle energy of their emotions, thoughts and hearts. Join us, and our herd of horses, to learn how to open to the practical power, wisdom and compassion of the heart. No horse experience necessary. This is a hands-on, on-the-ground, safe and fun experience with horses. To learn more about Coaching With Horses listen to an interview with Virginia on the Career Cue Podcast. *To learn more about Pegasus Ranch -- home base for our Coaching With Horses, visit pegasusranch.us. Kim and Yogi finding a connection. Donna experiences an opening with Yogi.